It wasn’t until I posted my 2017 review on Instagram Stories that I realised just how much I’d done last year! My memory is notoriously poor, so it was a good reminder of how far I’ve come, and just how I got here! There were way more frogged projects than I’d expected, but also some of my all-time favourite knits, so that’s a pretty good balance if you ask me. Now I’m looking forward to 2018, and I want to set some intentions. I’m not going to be strict, or unrealistic, because I want these to be fun things I can aim for, that feel like joy rather than chores. Some will focus on projects, some on aims to grow Knits Please as a business, and they’re all things that I’ll learn from, I’m sure. Looking back, I’ve been pretty inconsistent with my Instagram throughout 2017. Yes, life can absolutely get in the way, but I think with more intention, planning and patience with myself, I can share more of what I’m up to. I really love the knitting community on IG, and I’m lucky to have made some good friends from it, so I really want to play a more active part. This is something that I’ve wanted to do for a while, but have been really intimidated by, so I’ve decided that 2018 is my year! I’ve designed a few improv clothing items for myself this past year, and while most of them ended up frogged, none of them were disasters. I’ve got lots of ideas for clothing patterns, and I really want to be able to share them with others, so I’ve made it my mission to learn how to create garment patterns in different sizes. I’m forever looking up different knitting techniques on YouTube, but I find that the videos, while useful, tend to be quite boring, and I want to know more about the people behind the camera. I’d love to combine my knitting knowledge with the style of the lifestyle YouTubers I love to watch, to create something a bit more fresh and engaging. It may sound crazy, but I’ve only ever been to one knitting fair in my life! 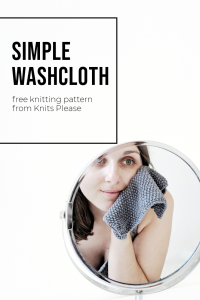 It was also the inspiration behind me starting Knits Please, because there was absolutely nothing there that called to my personal style, and I wanted to address that gap. This year, I hope to make it to at least one knitting fair, so I can meet lots of lovely fellow makers and see what’s up. I’m in the UK and I think my best options will be Unravel, The Knitting and Stitching Show and Yarndale. I think this idea might have started out as something jovial, but it’s since turned into a full-blown plan. Sam’s my partner, and he’s been supporting my knitting endeavours since we met, and I think he deserves a hand-knit jumper. He’s not got a lot of opinions on knitwear, so I might need to make some executive decisions about the style, but I’m OK with that. I really hope he’ll like what I come up with! A couple of months ago my WI ran their annual craft meeting, and I got involved by running a table teaching people to finger-knit jersey necklaces. I was absolutely blown away by how positive the response was! Everyone really loved getting involved, and it was so fulfilling helping people to develop a new skill. I’d really love to follow that up with some kind of knitting workshop in 2018, so I can keep spreading the yarn-y love! I’ve toyed with this idea for a while, but since knitting a couple of pairs of socks at the end of last year, I’m completely sold. I absolutely love my hand knit socks, now that I’ve got the fit right, and I’m so keen to make them a staple in my wardrobe. I’ve already started my January pair, and I’ve even ventured away from my greyscale aesthetic, which is feeling kind of fun! Reading Merel’s 2017 Maker Review, I found it cool to see that she’d been working on so many collaborations in 2017. 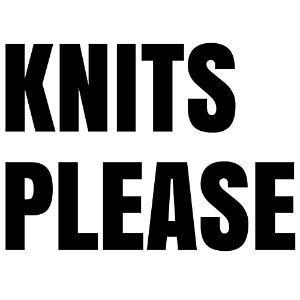 There are so many knitting brands and makers that I love, I’d really like to take the opportunity to make some connections and do a collaborative project in 2018. So there we have it. It feels like a pretty solid set of goals to me, and I’m keen to look back on them throughout the year and see how I get on. What are your knitting goals for 2018? Drop me a comment to let me know, and let’s connect!